Entrepreneurs will say that brainstorming for a new concept or service that will click with people is not easy, but one more thing that’s just as challenging and sometimes overlooked: finding ways to keep an already established business fresh. Just keeping up with the fast-moving pace of your own business is hard enough, so remember these tips to keep your business concept fresh as it continues to grow. 1. Stay in touch with your customers. Today’s consumers love it when they feel they’re in touch with the businesses they patronize. Gone are the days of one-way communication via mainstream advertising channels. What consumers value now is a two-way relationship that goes beyond the transaction, so give your customers a venue for them to voice out their opinions—such as an active social media page where they can share comments and where they can hear from you. Customer loyalty is built on this relationship. The business landscape is ever-changing. Remember that keeping your business fresh isn’t only about migrating your business collaterals onto digital platforms; it’s about staying relevant. Make sure to keep an ear on the ground so you know what’s in and what’s out, and so you can stay two steps ahead at all times. You can achieve this by paying attention to how your social media followers react on your channels and taking note of the things that they like and dislike. Use this information to address customer wants and needs. 3. Invest in your employees—and make sure they feel it. Your people are the core of your business. If you’ve been an employee before, you know how important it is for employers to show they care, even in the littlest of ways. Knowing that you are sincerely investing in their growth will earn their loyalty, trust, and confidence, positively affecting productivity and company performance. Also, remember that whether a company culture has been enforced or has developed naturally, it is always unique to every business, and you are in charge of shaping it in ways that will benefit your employees. Remember, energized, motivated employees are your best investment. Running a business is no easy feat, and there will be difficult days. Still, as a leader, it’s important that you’re able to shake them off and put your game face on when it’s time to hustle—otherwise, your business’ performance might take a hit. Take time off at the end of each day to kick back, relax, and recollect. One surefire way to do so is to have a nice refreshing drink to cap off a hard day at work. 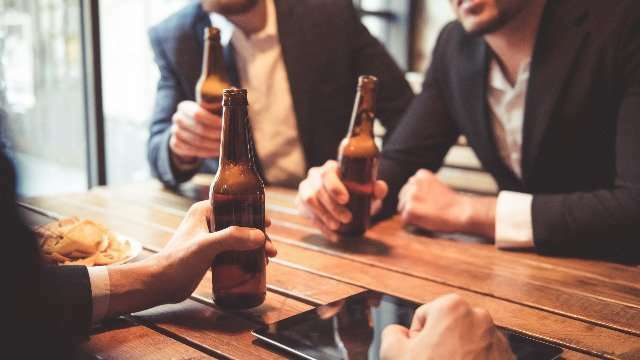 And while there are numerous refreshments out there that will quench the thirst of a hard-working entrepreneur like yourself, an ice-cold beer is almost always the most appropriate beverage for such occasions. How does a cold San Miguel Super Dry sound? It’s locally brewed, and supported by an ultra-efficient distribution system—so you’re guaranteed freshness in every bottle. It’s made with the choicest hops and is brewed longer for a crisp, dry finish. That’s the kind of fresh reward you deserve after a long day at work—you deserve it. Follow San Miguel Super Dry on Facebook.